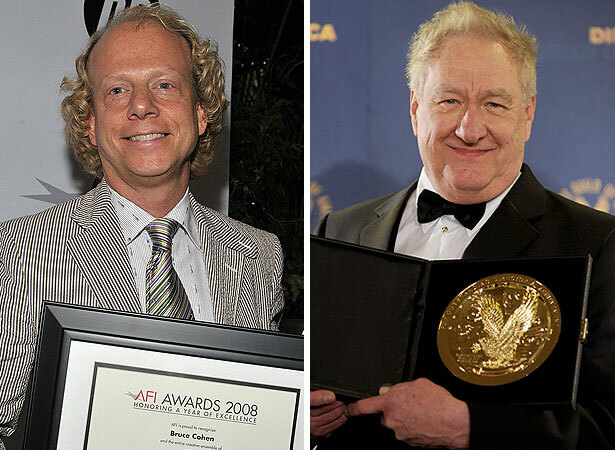 Academy Award-winning producer Bruce Cohen and acclaimed TV producer/director Don Mischer will produce the 83rd Oscar telecast, announced AMPAS President Tom Sherak yesterday, saying, "Their work was exceptional and I am confident they will bring their creative vision and extraordinary talent to produce/direct a most memorable Oscar show." Cohen, nominated with Dan Jinks for Best Picture in 2008 for "Milk," added, "It is a dream come true for me to now be producing the show with the phenomenal Don Mischer, whom I've had an incredible time working with in the past." Mischer, whose lengthy credits include producer/director for "We Are One: The Obama Inaugural Celebration at the Lincoln Memorial," "The Kennedy Center Honors," several Super Bowl half-time shows and the opening ceremonies of both Winter and Summer Olympic Games, said, "As a producer and director, I have always been inspired by the live broadcast of major, high-profile events and when it comes to that, it doesn't get any bigger than the Academy Awards." Meanwhile, Oscar organizers are talking about moving the show to an earlier date -- perhaps as early as January. The festivities were recently moved from March to February to shorten the awards season. But any move won't happen until 2012. This year's ceremony will take place February 27 and will air on ABC.